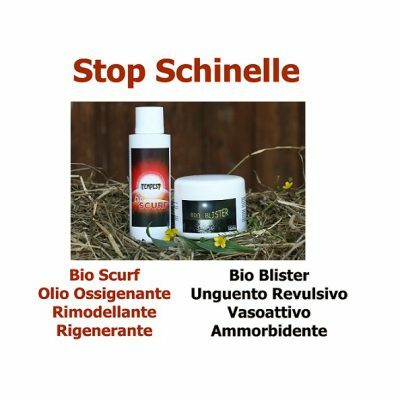 The daily prevention and care of hooves, coronets, soles and ringbones can prevent the appearance of serious complications and ensure the well-being, health and harmonious growth of horses’ and foals’ foot. 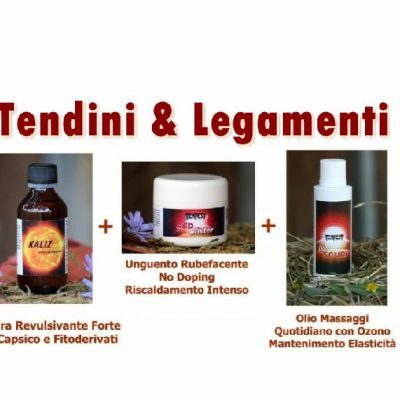 The new natural rubefacient and stimulating unguents are inspired by traditional stable products to increase blood flow to the affected areas by reducing inflammation and by increasing oxygenation thanks to natural and innovative ingredients such as algae-based organic iodine, a healthy substitute for metallic iodine, or cinnamon and arnica, both traditional phyto-therapeutic ingredients. 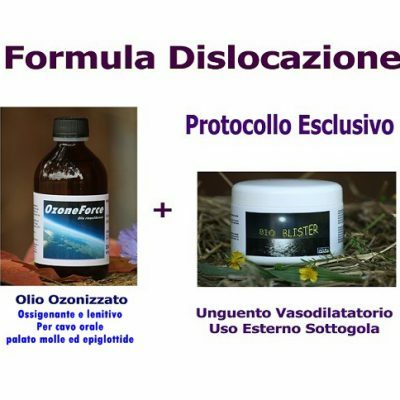 Why use toxic, outdated, invasive active principles when the natural tissues and cartilages repairing process can be facilitated with ozonated oil, which is the main ingredient of BioScurf, the absolute innovation in the hippiatric world? 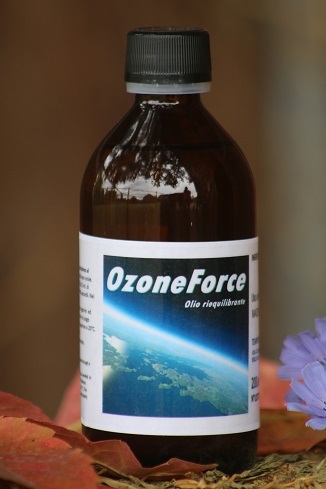 Ozone, O3, boosts the oxygenation and the micro-capillary stimulation, which reduces the healing and regeneration time of fibers and increases the metabolism of red corpuscles. 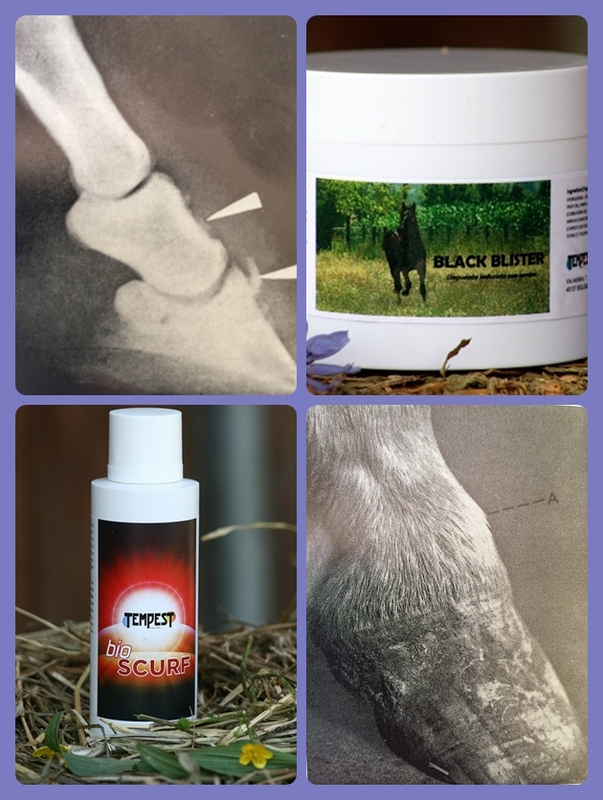 Black Blister and BioScurf used daily are excellent adjuvants to anti-inflammatory treatment; making blood circulate remains the basic principle for remodelling and thus reducing new bone formations such as splints. The pack of 1 Black Blister 250 ml. 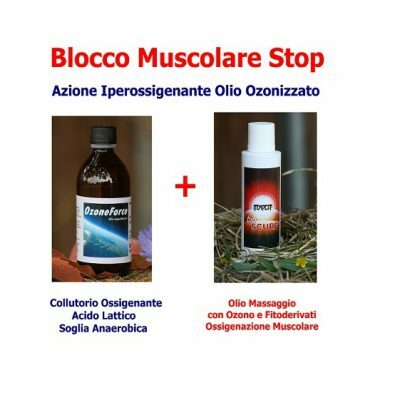 + 1 BioScurf 180 ml. is now available at 93,00 € (instead of 115,00 €), being a saving of 22,00 € (until the end of the special offer). A natural and innovative therapy to treat the foot and fight against the formation of splints is now available, and thanks to this new special offer, at a very attractive price. Do not hesitate! 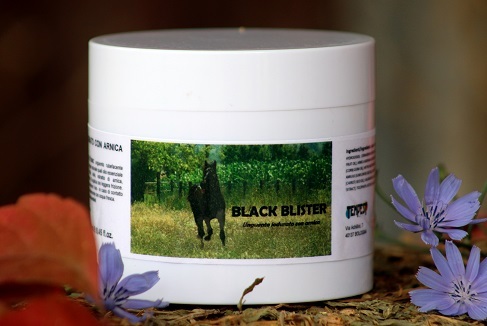 Black Blister, organic-iodine-based unguent derived from algae, arnica and phyto-derivatives on a fat base. 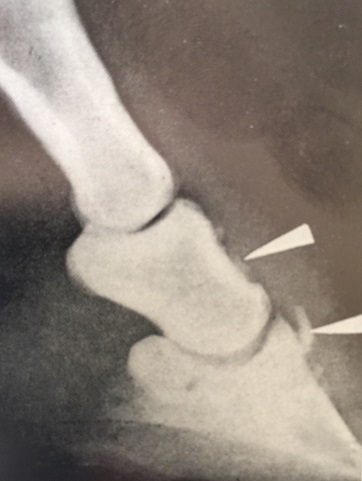 Particularly indicated for any foot problems, growth defects, hoof and sole care, splints, synovitis and fetlock arthropathy. To know more about it, we invite you to read the BlackBlister page. BioScurf, vasoactive hyperemic exfoliating oil, is an ozonated oil ideal for massages. 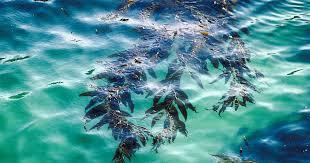 Thanks to its blend of ozonated, oxygenating and remodelling sunflower oil and phyto-derivatives such as corn seed oil and carrot oil, nourishing and keratinizing, BioScurf is a unique, powerful, and innovative product we can’t do without in a modern and forward-looking stable. Particularly indicated as adjuvant to the treatment of problems related to: joints, tendons, ligaments, splints, exostoses, carpal bones, bruises, swellings. 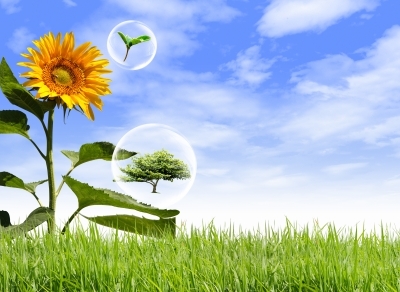 To know more about it, we invite you to read the BioScurf page.